The objective of International Museum Day is to raise awareness of the fact that, “Museums are an important means of cultural exchange, enrichment of cultures and development of mutual understanding, cooperation and peace among peoples.” Organised on and around 18 May each year, the events and activities planned to celebrate IMD can last a day, a weekend or a whole week. Participation in International Museum Day is growing among museums all over the world. In 2014, more than 35,000 museums participated in the event in over 140 countries from all continents. Each year’s International Museum Day theme is proposed by ICOM’s network and aims to promote museum issues within society. In 2015, the event will celebrate the theme: Museums for a sustainable society. This year, ICOM and Semantika have partnered to provide museums with an easy-to-use platform for museum promotion. Museums who join the Museums of the World community can use our user-friendly CMS to update their visitor information, add exhibitions, events, educational activities, articles, and even collections. Activities tagged with an IMD2015 tag are displayed on our special IMD 2015 map. Receive updated information in real time as well as the programme of events. When indispensable new information is released, the fans of the page will be automatically informed! Before officially creating International Museum Day, ICOM gathered the international museum community for a 1951 meeting called Crusade for Museums, to discuss the theme “Museums and Education.” The idea for International Museum Day was inspired by the framework for museum accessibility that was developed at this meeting. International Museum Day was officially established in 1977 with the adoption of a resolution during the ICOM General Assembly in Moscow, Russia to create an annual event “with the aim of further unifying the creative aspirations and efforts of museums and drawing the attention of the world public to their activity.” International Museum Day was meant to convey the message that "Museums are an important means of cultural exchange, enrichment of cultures and development of mutual understanding, cooperation and peace among peoples." As the event attracted more and more museums, and increasingly favoured diversity in unity, ICOM suggested a theme for the first time in 1992: Museums and Environment. In 1997, ICOM launched the first official poster of the event on the theme of fighting illicit traffic in cultural goods. The poster was adapted by 28 countries. In 2011, institutional partners, a slogan, a website and communications kit for International Museum Day were introduced, marking a turning point for the event. ICOM was also patron of the European Night of Museums for the first time that year, an event that takes place on the Saturday closest to 18 May each year. The International Council of Museums (ICOM), created in 1946, is a worldwide organisation of museums and museum professionals. ICOM is committed to promoting and protecting natural and cultural heritage, present and future, tangible and intangible. With more than 32,000 members in 135 countries, the ICOM network is made up of museum professionals from a wide range of museum and heritage related disciplines. In order to carry out these activities, ICOM partners with entities such as ICCROM, INTERPOL, the World Customs Organisation, the World Intellectual Property Organization, and maintains a long-standing collaboration with UNESCO. The UNESCO-ICOM Museum Information Centre, created in 1946, gathers the most comprehensive collection of ICOM publications including ICOM News, ICOM Red Lists, publications by International Committees and conference proceedings. ICOM’s commitment to culture and knowledge sharing is reinforced by its 31 International Committees, which are dedicated to a wide range of museum specialities and conduct advanced research in their respective fields for the benefit of the museum community. The organisation’s International and National Committees, Regional Alliances and Affiliated Organisations hold conferences and symposiums worldwide that focus on pre-defined themes with a view to fostering exchange among museum professionals of all nationalities. 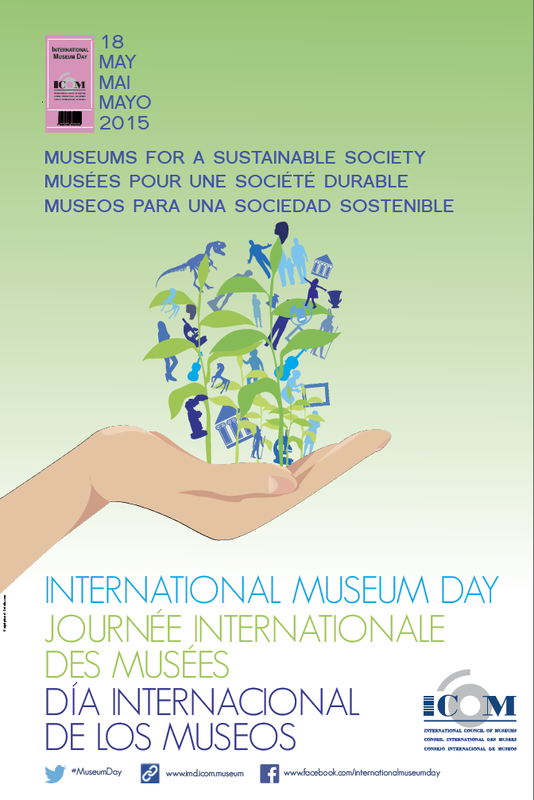 In addition, ICOM organises International Museum Day each year, a worldwide event held on and around 18 May, to increase public awareness of the role of museums in the development of society.